need or you can build your own unique kit with our "kit builder"
Cricket, Cycling, Gymwear, Netball and Hockey, Motorsport, and Sailing. 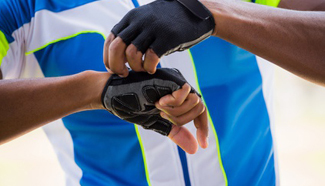 Whether you are supporting a charity cycling event, supplying cycling clothing to your customers or enjoy cycling yourself, APS can supply you with a complete range of cycling products. These include men’s and ladies cycling shirts, jackets, shorts, tights and gloves. All of these can be decorated with your logo, charity name or personal message which can either printed or embroidered.